BABARIA IP & CO. Law Firm & Consultant provides Patent Service, Trademark Registration, Copyright, Design, Litigation, IP protection Office In Ahmedabad, India by award winning lawyer since 2005. The firm has owned office in Ahmedabad, Gujarat, India & 20+ Years of Experience with 250+ Filed Patents. From development to the entry of a drug in the market, there are various stages in the way. A well-defined stray is required to see how the product in demand will work in the coming days plus it helps in minimizing risks. Now, in the pharmaceutical industry, whenever you try to market your drug, other companies will work to point the technologies you have used which they have already patented. According to a patent attorney in India sometimes the patent can be blocked after such objections. Permission from the owner is required before bringing the product into the market. To avoid such situations, it is necessary for the companies to conduct freedom to operate searches. An FTO search is done to ensure that the patents, copyrights, and trademarks of others are not used without permission. According to it, the commercialization of your drug should not affect the rights of other people's intellectual property. An FTO search can be performed for various reasons. Here are some of the essential benefits of performing freedom to operate searches. ➥If technology is already patented, patent infringement might occur which will bring problems. ➥The search is done to check if the technology used by you in the product you are going to commercialize. If some other company has already patented any technology, they can block the path of the patent. ➥Some patents that come forward during the process might seem unnecessary from the commercialization point of view, but the technology needs to work without violating those. This prevents the infringement of patents. A number of factors need to be considered to decide the right time to perform such searches. Let's understand it by examining the stages of commercialization of technology. If we look at the very first stage or the early stages where the technology is in a premature form, and the future couldn't be decided, we see that FTO search done at that time will become useless in future. There is no use of such searches at an early stage because the risks will not be adequately evaluated and the search would not be applicable in the future. The reason for this is because the requirement of the product in the market and this will lead to more significant differences. However, if you are thinking to perform an FTO search when the project is on its final stage that is also not a good idea, it will be tough for you to make changes in the product when it is in the matured stage. The best time to conduct such services is the average time when it is not too early and not too late. Sometimes the patent holder may not have proper manufacturing facility or the available facilities may not be sufficient or he wishes to concentrate on some specific market. In these cases, the patent holder can sell the invention. It works on mutual sharing. Two companies mutually share the licenses they own. There can be more than two companies too, and the process involves exchanging licenses to use each other's patent. Here two companies can use the same license without bearing any extra expenses linked to R&D. The patent is placed in a “pool,” and the patent rights are cleared. This includes making some arrangements in the product when any company restricts the FTO search. FTO searches are of great benefit when done in the right way. Use of perfect strategy, correct information, and references can make the FTO search productive and helpful for you. It helps in reducing risks by opting out any of the methods mentioned above. Patent protection or patent registration process includes making the concept legally yours. Once you register it on your name, no one else can use the idea without your permission. According to a patent attorney in India the patent protection of pharma companies is different from others in a lot number of ways. The pharma industry is all about developing new medical treatments. When research is done, and the concept is there in the complete form, it takes at least 10-15 years to the medicine to come in the market. Moreover, not only it takes such a long time, but the cost is also very high. Development of single medical treatment can cost billion dollars which is not affordable for everyone. After the development of product also, there are challenges in the protection of the intellectual property. 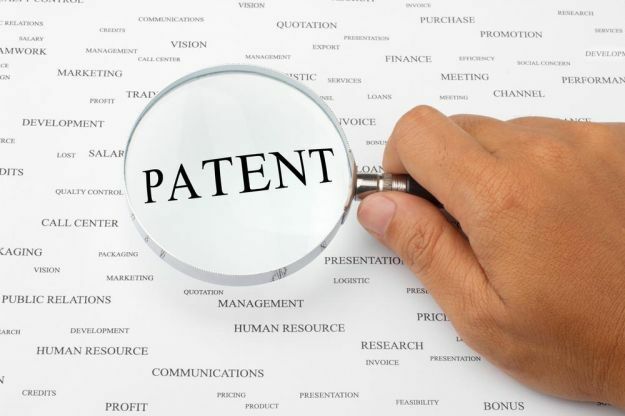 From involving individual IP policies to management styles and strategies, the importance of patent registration becomes apparent to every IP owner. By registering a patent, the owners can prevent their Intellectual property from getting copied by people who produce the medicines at low cost and in bulk. While the manufacturing of a drug is quite affordable, the development of medical treatment is higher, and this is where the unique challenges in front of Pharma intellectual property start. Most of the pharma companies begin the registration process even before the clinical trials. The registration of patent during the research time reduces the patent life. The effective license life thus remains just 11.5 years on an average. However, the patent owner can apply to extend the patent life, but the extension time can’t bring whole of the life lost. The reduced life of the patent also reduces the marketing time for the new medicine because the ideas of new medical treatment need to be protected as quickly as possible. Moreover, natural products have been prevented from patenting by patent and trademark office by stating laws of nature. Also, the protection confirmation time can even vary. The development of biotechnology is playing a significant role in transforming the healthcare industry. The collaboration of traditional bioscience processes and latest technologies has driven the development of treatments. Several available medical devices can examine the diseases in the human body, and more machines are yet to develop for the diagnosis of diseases. The innovation of technology is making the medical treatment easy and effective. The tools that can see the progression of the individual patient which is different in every case and this what makes the treatment effective. The wearable devices come in the form of a bracelet and many other styles to check deterioration and confirm procedure. We expect technology to improve processes and reduce costs. The 3D printing allows the printing of pills, tissues, and organs. The method makes it possible for companies to lower the price of testing of drugs without forgetting the laws of safety and ethics. The commercialization of medical development has become comfortable with 3D printing processes. The best example is in dental implant fields where thousands of braces are manufactured with the help of printed images. Companies are working on the construction of 3D tissues that could replace tissues damaged due to diseases. The reports on the technology tell us that billion dollars cost could be reduced in coming years by using this technology. The two biggest challenges which pharma companies are facing from years include dealing with copycats and reduced patent life. Both motivation and investment have been impacted by the above two problems and is further affecting the innovation. Moreover, the latest technologies, as we can have seen in the article has made innovation possible. The emergence of supportive technologies has enhanced innovation, and that's why the diseases would be easily treated in the future. Cost is also going down, and that’s why companies are happily going for better research to develop better. The future of the pharma Intellectual property seems to be far better than now. There are two separate terms, patent agent and patent attorney, but most of the times, the words are used in place of each other due to confusion. Which means if someone is saying patent agent in India, he or she might be talking about attorney too and vice-versa. There is a significant difference between these two right from education qualification to work responsibility. If you also have confusion, the below post is for you, so that when you say patent attorney in India it means attorney for you and not an agent. A patent agent is a person who has the skills to help you in filing a patent application. As a citizen of India, your patent can only be drafted by a legal person. So, a patent agent is the one who has the technical knowledge and legal permissions. The required qualification to work as a patent agent is mentioned in section 126 of patents act. ➥The person must be an Indian citizen with a minimum age of 21 years. ➥A degree in the technical or science field is required from a law established university. ➥Must have passed the Indian patent agent exam. One thing that you can learn here is that a degree in law is not necessary to be a patent agent, plus a law degree holder cannot turn into a patent agent because a degree in science is essential. What role does a patent agent perform? After obtaining a degree in technical field and qualifying the patent exam, a person becomes legally eligible to do the job. According to section 127 of Indian patents act, 1970 a patent agent has to perform the below-mentioned jobs. The patent agents work under the supervision of the controller. Completes work that needs to be done before the project passes to the controller such as preparing documents and dealing with business transactions. Looking at the Indian system, there is no such term as a patent attorney. It is sometimes substituted in place of a patent agent in most of the cases. 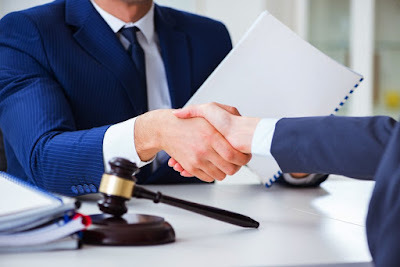 Attorney means advocate and expanding the definition, we see that a patent attorney is a person who holds a legal degree and has been accepted and enrolled by state bar council. The council makes the person eligible to deal with the patent process. So, the difference here is that a patent attorney needs to have a degree in the law field and not necessarily in the science or technical field. What role does a patent attorney perform? A patent attorney is the other name of patent advocates, and an advocate is the one who is associated with legal works. A patent attorney takes the legal proceedings of the patent registration further. The patent attorneys have the rights to represent your case in court which means of an issue arises during the process or someone questions about the application, patents attorney can help but patent agent can not. The major difference between the two terms is in qualification and job role. The patent agents need to have a science or technical degree and need to pass the patent exam while a patent attorney needs to have a law degree and must be enrolled in state bar council. The difference in their work profiles is that a patents agent files the application and executes the process because he/she knows the subject area. A patent attorney works for patent litigation and represents the case in court. Both are thus different in every aspect. Patent registration is done to secure your unique innovation.When the patent is approved, no one can use the idea without your permission. According to a patent lawyer in India, people have a misconception about the patent registration process. They think that only science and research documents could be secured by filing a patent application, but the truth is, every creative thought is patentable. The patent is like a legal certificate that tells that thing registered under that name legally belongs to the person and could not be used by other people without permission. The patent attorney in India says that the innovator becomes the owner of the concept for which he files the patent after successful approval. The use of the innovative concept is made with the consent of the owner where he discloses complete information to the person who will be going to take the invention forward. The person who wishes to file a patent application must come up with an invention which doesn't exist yet. The patent details must be kept private before submitting the patent application so that it stays unique. There should not be any public information about the concept you want to patent. The invention must be something that is not obvious. It should not be the high level of a previously existing skill or something that any skilled person can do. The patent also needs to be usable for in industries so that it has something productive. According to the patent registration rules, the invention must be complete before you proceed on to applying for a legal license to make it all yours. The new invention is meant to create something better and useful. The patent helps the inventor get benefitted for the time and efforts he/she invested. For intelligent people, their knowledge is their real wealth, and by patenting their work, they make it safe. The new technology that emerges out can lose its importance if not licensed because no one will like to invest without the support of the government. The private investors want acceptance of government so that future hurdles could be minimized. Without a patent, sometimes the invention cannot be prevented from developing, and it will ruin the efforts of the person who invented it plus a new technology will end before even coming. The patents attract investment which strengthens the economic level of a company. They can even bring potential foreign investments that are good for the national economic growth of the industry. The strong financial background increases production which further improves exportation. The benefits go on increasing which could be consumed for further research and development processes making the whole scenario better and wide. However, sometimes, the higher fee of the patent can get over all the benefits, and that's what makes the small and medium businesses to step back. Things need to be cleared before proceeding so that there is no confusion and loss. When the patent is received, it is ready to be used by the public at some cost, and here initiates the sharing of knowledge for betterment. The shared information helps in developing something that benefits the whole society more than keeping the information secret. The disclosure of details helps in making the better use of what resources and ideas are available to us. It also prevents duplication of previously existing information because things that are public are recognized better. The research efforts thus get the best value when shared and not when kept hidden. It takes a long time to create something unique as an inventor and it heartbreaking if someone claims your hard work as their work. So, getting a patent of your work is essential to secure your efforts. The next process is also complicated, but patent attorneys in India are there to help you with the whole process. 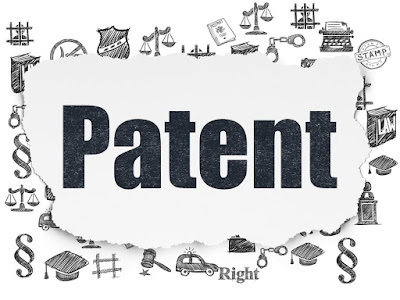 Once you are sure of filing a patent, search for a good attorney to help you. You get two options while finding an attorney, either to hire an experienced attorney or an inexperienced one. There is no doubt that an attorney having years of experience will give you several benefits throughout the application, but it surely doesn’t mean that a less experienced or inexperienced attorney can’t help you. So, you need to after the pros and cons of both types of patent lawyers India before making a final decision. Here are the pros and cons of hiring an experienced and an inexperienced patent attorney separately, to help you with the decision making. After knowing the favorable and opposite faces of both types of attorneys, it will be easy to decide as per your requirements. The pros of hiring an experienced service: An experienced attorney having years of experience will benefit you with his or her knowledge. The practice of [patent law would have made him or her pro in the field which come to your benefit. They have the understanding of the complete process, and they can even tell you the chances of approval before filing. Since they would have been handling the patent filing process for years, the results will be positive because they know how to represent the application in such a way that it doesn’t get rejected. The cons of hiring experienced services: Nothing comes for free; in fact, the expense goes on with the rise in the value. The experienced services are no doubt of great importance, and that’s why they charge higher. You should be available with a good budget if you consider hiring them for your project. Also, since they have got multiple projects from multiple clients, you will hardly get personal services. They have to handle all of the hundreds of project they accept, and that’s why it is not possible for them to provide individual monitoring. If you are expecting anything like this, it is better to ask before moving on with them. The pros of hiring inexperienced services: Less experience will simply mean a comparatively lower charge than the experienced ones. The lower the experience, the lower will be the fee. You will save on money for the first thing. The next benefit that you get is they will work with more enthusiasm than an experienced one. They have to succeed in their career, and for that, they will work hard on your project for its success because it is their success too. The most important thing that you merely get from an experienced patent lawyer is personal monitoring, and here with fresher lawyers, you can expect the one on one service. They will do whatever possible from their side to please their clients to build a better career. The cons of hiring inexperienced services: Since they are new to the profession, there are higher chances of issues occurring during the process. The attorneys might forget some important things about the patent process. Because of small issues arising between and lack of experience, they might take a longer time to complete the patent process. Still, if you research before hiring someone, there are high chances of finding a skilled one because not all fingers are same. Buying patents is not an easy thing, you need to search for the right patents and apply for them. Even after that, securing the patents is also a complicated process. An experienced person will never suggest you to apply for a patent because hiring is much more inexpensive and comfortable. If you agree with hiring a Patent lawyer India the below information is for you. Since hiring the right one is also not so easy, the below things must be considered to make the right decision. The patent lawyer whom you are going to hire must have passed both the bar exam of state of practice and the “patent bar exam”. 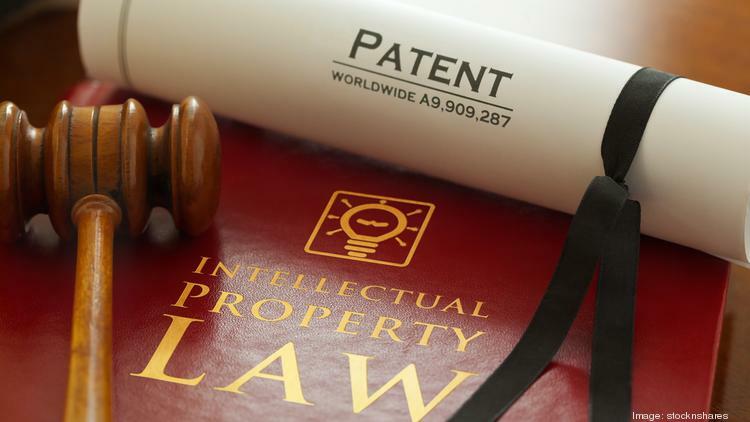 The patent attorneys need to be experts of laws of intellectual property, and at least one technical area so as to understand the requirements of clients better. A bachelor degree in technical or science field will be sufficient. Experience is the next thing you need to consider. The attorney you are going to hire must have knowledge of your invention subject in addition to a few years of experience. It’s your duty to search for someone who belongs to your subject only. The expense of hiring an attorney is an add-on because you are already spending money on application filing. Still, some money can be saved by following some smart ways without compromising over experience and qualification. The first thing you should do is find your attorney in a less exposed area or a small town. Since the salary and rent expenses are less there, they will charge you less. The distance won’t matter because the technology lets you communicate. Also, check if they offer free consultation initially. Look for a patent agent instead of an attorney if you are tight on budget. More or less, they perform similar duties. The clients who only need someone to file the patent application, an agent will be a better choice. However, if you want someone to represent you in the courtroom, hiring a patent attorney will only work for you. The attorney’s work is to advise you on everything related to the patent. A good attorney will assist you in checking if the patent you have chosen is patentable or not. 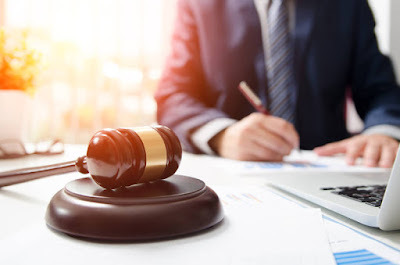 From selecting between provisional and non-provisional y to deciding about international protection, the attorney will make sure that you claim maximum possible rights to the patent. The attorney will conduct the research for you so that your application doesn’t get rejected because of novelty issues. The attorney will improve your application so that it gets approved as early as possible. You will have an experienced person to work on your application making it possible for you to focus on other works. To increase the economic value of your patent after approval, the attorney will help by enforcing your patent rights. Moreover, where the difference between an attorney and an agent comes, is when the patent gets rejected. An agent can’t help you in appealing in court. 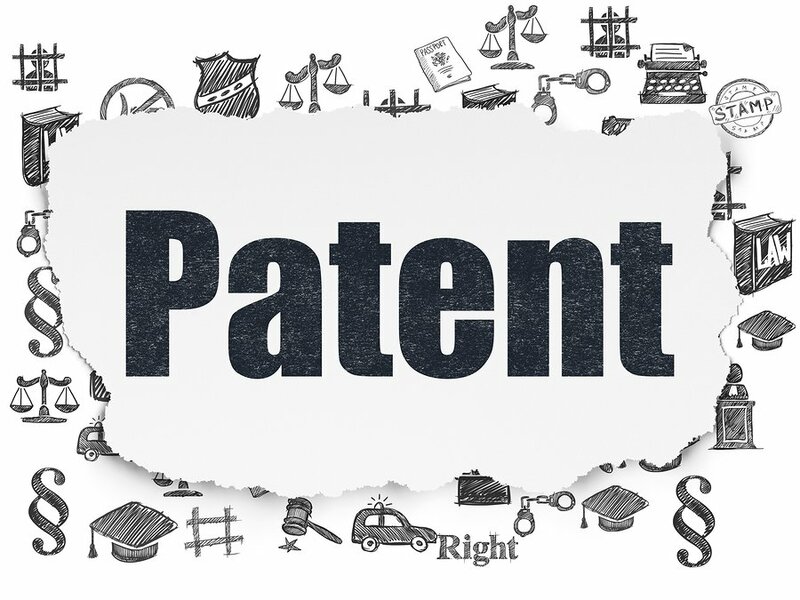 Since an attorney can help you with all the decisions related to filing a patent application and have the solution of all your problems till the final decision, it can be considered as a good investment. An attorney can reduce the time between the grant and increases the chances of approval too. You pay them not only for their efforts but for the knowledge and the experience they had too. Moreover, it is better to have a pre-analysis of the market, because the attorney can help secure the patent, but the profit part depends on your efforts and market situation. Drug patent will be accurate for almost 20 years. There are variables related to pharma patent that can affect the patent period, either to continue it or, seldom, to reduce it. How Long Do Drug Patents Last? 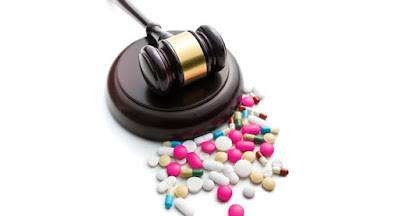 Why Is Drug Patent Life Important? Rational business authorities preserve drug production and commerce through patents. Still, a long duration of a drug's license period can lapse due to study, advancement, and permission time before it eternally catches the market. When an organization grants a patent to a medicine, it is marketed under a trademark name. Physicians usually designate it using that title, which is a trademarked term for the constituents in that drug. The organization has a patent on it until its license term ends. The longer the medicines have their unique patents, the longer before the organizations making nonproprietary variants can produce those medicines to help make them more cost-effective. What Factors Affect Reduced Drug Patent Life? The primary factor that produces drug license timelines diversify and that is when the 20-year time limit starts at the period of the drug's production. In other messages, a pharmaceutical corporation might be progressing and receiving a Federal Drug Administration (FDA) endorsement for a drug without trading it for eight or more years into its protection life. This indicates that when the drug is dispensed up on the shop, the license could be useful for only a few years down the line. When Can Other Companies Copy The Previously Patented Drug? It's no longer marketed under the company's title, but it is apprehended generically.In the U.S. and maximum nations, the nonproprietary structure has to be precisely the identical as the authentic one, in duration of how useful it is, how reliable it is, its application, type of dosage, its synthetic components, how it flows through and hits the body, and how it operates in the body. The non proprietary medicine organization must verify that the licenses are completely unenforceable or void, and there is no hazard of invasion.The non-exclusive organization is established in a country where there is no other copyright on the drug. What Is A Compulsory License? In some global stores, there is a "mandatory license," which allows universal brands to manufacture copyright medications before they are legitimately entitled to do so, therefore neglecting the license. This is typically authorized in the event of a medicine or sickness crisis when medicines are not pocket-friendly for people on a mass order, such as in a developing nation. The fact is that drug protection time is not especially long-drawn except one advance to make agreements and demand for further new patents. Drug licenses just like distinct classes of patents are restricted by the 20-year deadline. And, as with additional patents, that quantity of time can be lessened due to different circumstances. Do You Need More Information About Drug Patents? If you require more knowledge about medicine patents, you may post your legitimate demand on our marketplace. We allow hardly the top 5 percent of attorneys to its place. Our Lawyers come from law institutions such as Harvard Law and Yale Law and ordinary 14 years of practice, including a job with or on the support of corporations like Google, Stripe, and Twilio. The pharmaceutical companies have made the business more inhuman by raising the prices. There are generic drug companies, but some loopholes in the system prevent the production and supply of low-cost drugs. A law that could force these companies to share the sample medicines to generic producers can help a lot. The passage of samples can also help the generic drug production companies to research and come up with something better. The pharmaceutical patents have become a great source of income for companies, and that’s why the prices are going higher. They target the patents for their profit without thinking about the patients. Some laws that could help and encourage the production of generic drugs are there but what prevents things from working out is the corruption in the middle. The patents are government’s permission to let the companies produce medications while in the meantime generic companies could provide the drug for a lower price. As soon as the license expires, the generic drug comes over the market, and people get access to low-cost drugs. This is a concept known as the Hatch-Waxman Act. It had been useful in increasing the production of generic medicines. The companies for their benefits find a break for every law and for this one too, the loopholes emerged with time which reduced the effectiveness of the act. Companies now have schemes that help them in extending patents. It seems like the target of the companies is only making money by having the licenses rather than serving the patients and earning the value of their efforts. Some of the major things that prevent the production and evolution of generic drugs are here for you to read and understand. The pharmaceutical companies got the chance to extend their patents by conducting clinical trials, and companies made use of this law for their benefits. The Pediatric Exclusivity Provision in 1997 made it possible for the companies to get their patent extended by doing research and to make trials on children. The companies abused this law too. Many a time, the companies tested merely to extend the patents, and they got successful also. Children with a rare disease named Duchenne muscular dystrophy were given Cialis, while a drug called Viagra was tested on children with heart and lung issues. The drugs were not effective in the diseases plus one warning was also issued for Viagra, but after that too, the patents got extended. The companies can transfer their patents to hide from patent challenges. They pay some money to the ones whom they transfer the patent to keep using it on their name. It should not be unbelievable that the profit margins are so high that even after paying a huge amount to lease the patent, the company earns a good profit. The act helps people to file a petition so that they could contribute to public health by requesting the delay in approval. But, the drug companies used it again for their benefits and started filing petitions to delay the approval of low-cost generic medicines. Thus, the generic medicines go on wait for a long time because of the petition from branded companies for their profit. The branded companies pay some amount to the generic producers to not develop an affordable medicine version so that they could stay in the market. The agreements are illegal, but still many of the pharma companies are using such tactics to prevent cheaper medicines to come into the market. The generic companies are paid billions every year for this purpose, and this is what shows the profit margin of such companies. How a trademark registration will help you? Before we tell you, how a registered trademark in Indian can help you, let us understand what a trademark is. A trademark is essentially a logo or a brand, it can be anything that stands a product or service apart from the rest of the similar products or services in the market. Ideally, the trademark registration is done for brand name and logo but nowadays, people are registering the catchy business phrases, taglines, the color scheme of the business and case of letters used in the business name as trademarks. Trademark is a valuable asset for a company and it speaks of a brand and the quality associated with it. Hence, if you have your business set now, reach the trademark office for a trademark registration in Ahmedabad. The trademark office in Ahmedabad will guide you through the complete procedure of trademark registration. Why Register Brand Name or Trademark? As a business start-up, you might have a number of questions regarding the trademark registration in Ahmedabad. You may want to give it a second thought to go for a trademark registration. 1. What if, someone uses your business name. 2. What if, after sometime you come to know that some other buisnessman has already registered a trademark with your business name. Both of these situations can turn out to be nightmares for you. The trademark registration can save you from situations like these. Getting your brand name and other aspects registered will prevent the frauds in market to duplicate your brand name and it eases out the process of the already registered trademark search for you. 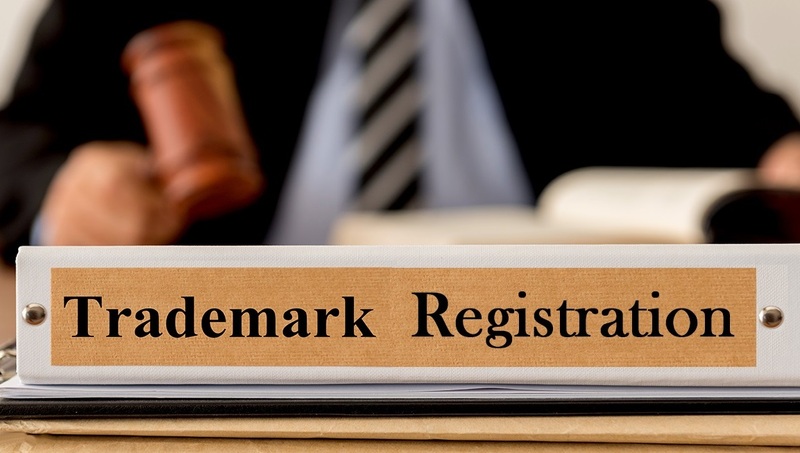 What Can Be Register As The Trademark in India? Descriptive trademarks are those that clearly describes the purpose of the business. For instance, a trademark in the name of “Vision Care” clearly shouts out the purpose of the business. These are the most common forms of registered trademarks. Suggestive Trademarks do not describe the purpose of the business clearly instead, it demands from the consumers to join the terms and logically understand the meaning of the trademark. These trademarks are also known as “coined” trademarks. These terms are meaningless before the trademark application. These are the terms used for a specific purpose or to promote a specific brand. For instance, Pepsi, Cola, Kotak and so on. These trademarks possess meaning in general but they are not directly associated with a product or service. For examples, Mango is a fruit but the owner applied for the trademark for an elite fashion brand. Hence, Mango as a fashion brand is Arbitrary. Each trademark comes with its unique features and they help in preventing trademark infringement of goods and services. 1. The fanciful trademarks are the strongest form of trademarks due to its distinctiveness in the market. 2. The arbitrary trademarks are strong too. Although the term is common but the association with a product is uncommon. 3. The suggestive trademarks are comparatively stronger than the descriptive trademarks. They speak of the quality of the goods. 4. The descriptive trademarks are hte weakest forms of trademarks. They are just the desciption of the product or service and nothing else. Your trademark lawyer or agent is the right person to guide you with the complete trademark application process. With the help of these trademark consultants, it is easy to apply for a trademark in India. Patents are granted for the sole purpose of protecting the inventions and to encourage further such inventions in future. The government of India grants the patent rights to the applicant for his invention. The patent provides the right to the owner to exclude others from using, producing, manufacturing and selling the same product or service in the market. As we know, a patent is a form of property, the rights entrusted to the owner of the patent can be transferred to another person by way of granting a license. One can take help from the pharmaceutical patent analyst before transfering the patent rights to anyone. According to the Indian Patent Acts, both the parties must agree to the transfer of the license to the patent in writing along with the rights and obligations of both the parties to be provided to the authorities in writing. The assignment here means transferring the entire rights pertaining to the patent such as ownership. As per the definition provided in section 16 of the India Patent Act, Assignment of patent rights is the transfer of the patent by the patentee by a part or all of its part, title and interest in the patent and patent application to the receiving party. The person to whom the rights are being assigned is called assignee and the owner of the patent who is assigning the rights is called assignor. The patentee or the patent owner through a license can permit others to use or exercise the invention which is otherwise not allowed by law. With the help of licensing the patent a bundle of rights is transferred for a limited period within a limited geographical area. As the name itself suggests, a voluntary license is obtained when the patentee wishes to transfer the patent rights with his own wish and empowers an another person to use or exercise the patented rights by way of a written legal agreement. In these cases, the Indian patent office and the central government do not assume any role. ➦If the patented goods are not available to the public at affordable prices. ➦If, the requirements of the patent for the public is not being satisfied through the invention. ➦If, the patented invention is not devised in the Indian Territory. Under the Section 92 of the Indian Patents Act, 1970, a compulsory patent can be issued to export or manufacture a pharmaceutical product to any country with no or little manufacturing capacity in the pharma sector to address the public safety issue. The only condition to this is that the country must provide a license or have allowed the import of patented pharma products from India. All of these provisions in the patent statutes are aimed to balance and maintain the interest and health of the public. Although the pharma companies invest a great deal of amount in the invention of medicines but ultimately, it is aimed at improving the health of the people. If someone asks you, which is the most knowledge driven industry in India? The obvious answer would come is the Pharma. It is because the researchers have to toil hard for 10 - 15 years to bring a new drug to the market. Moreover, the cost of research is too high and most of the times, it is unpredictable in nature. Hence, it is important that the companies protect and safeguard their innovative medicines and drugs by way of obtaining pharma patent. By getting the pharma patent registered under the patent laws, the companies can stay at peace and enjoy the benefits of their hard work for a period of 20 years. The drug compound patent claims are referred to as Markush Claims. It is a claim with multiple “functionally equivalent” chemical entities permitted in one or more of the drug compound. 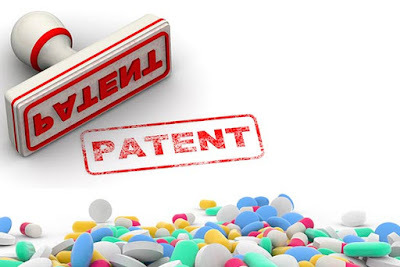 This type of patent provides the highest security to the patents as no other companies are allowed to make use of this compound in any form to create a drug until the patent expires. Under this patent, a specific technology to create a quantity/formulation of its key ingredients. For instance, X, Y, Z ingredients and their compositions of the drug ABC is claimed so that no one can use the same ingredients in the same composition to create a new drug. A Synergy of drugs occurs when two or more medicines are combined to enhance the effect of the drug. Patents can be obtained on the synergy of drugs as well. For Instance, a drug X is combined with Y to create a new highly effective drug XY and it is patented. These patents are basically, related to the technology through which the drug has been manufactured. These innovative techniques are used to solve technological problems such as taste masking, stabilization, increase in the solubility and so on. Polymorphs are various physical forms or unique crystal structures of an already known compound. These polymorphs are prepared to increase the stability and reduce the impurities of the compounds. We can see a number of polymorph patents such as the Indian patent no. 237261, which claims the crystalline form of B4 of atorvastatin magnesium that is characterized by an X-ray powder distraction system. Biotechnology deals with the use of biological materials or living organisms in the formulation of pharmaceutical drugs. The biotechnology patents can cover a wide range of therapeutic, immunological and diagnostic products. As the name itself suggest, the process patents claim the innovative and inventive process to create a drug. For instance, synthesizing a chemical to formulate a drug can be claimed under the process patents. There is an extensive pool of knowledge about the variety of pharma patents. The pharma industry is safeguarded to indulge in more and more developments as they have all the methods to patent their ingredients, process, synergies, and products and keep it unique in the market. Patent is essentially an Intellectual Property. When a patent is registered, the exclusive right to utilise the intangible creation of the human mind rests with the person in the name of who, the patent is registered. The owner of the pharmaceutical patents has the sole right to exclude anyone from making, offering for sale, using, or selling the invention for a period of 20 years from the date of registering the patent. The invention should essentially be a patentable subject matter. Pharmaceutical patents help in the innovative development of new medicines for various diseases. With the help of patenting the manufacturing processes of the drugs and medicines, the companies can safeguard their investment done on the whole process thereby, remaining unique in the market. When the pharma companies know that their drugs and medicines are safe in the market, they can spend millions of dollars without worrying and further spend on the research and development as they know they will be able to take benefit of the sales. We know that the pharma products are not manufactured in a day. From the inception of the idea to devising a formula to testing and then final application, it is a long process. On an average, for a new medicine to enter the market, it takes 10-15 years of hardwork and patience. As the cost of producing the medicine is more, patent protection is mandatory in the pharma industry. Patents become legal protection of the investors and encourage the investors to recoup the investments. Patent claims related to a pharmaceutical product can be an active ingredient that will be either used separately or with prodrugs, salts etc. Patent in pharma industry can be a manufacturing process as well that includes the process and the product both. While developing the drugs, the element of invention must always be there to distinguish it from the rest of the drugs in the market. An active patented ingredient can be used in various forms or dosages such as tablets, ointment, capsules, solutions as so on. This in turn, can be formulated into different pharmaceutical products. A huge number of products are manufactured using this technique with the help of same ingredient but patented differently. However, the claim over these processes are not inventive and patenting the same depends upon the rules prevalent. Patents are an important tool in the pharmaceutical industry and it is due to intellectual property rights, we can see numerous inventions in the medical field everyday. This article aims to provide the reader with some insights on the consequences of patent infringement in India. The patent registration in Ahmedabad secures the products or services of a merchant who wishes to secure his/her products from being copied. Even the manipulation of entries in a register with an intention to copy a patent is considered to be a criminal offense as per the Indian Patents Act, 1970. 1. 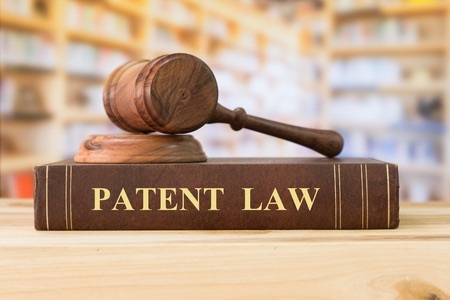 The patentee has the exclusive right to prevent a third party from using, selling, distributing or importing the products that have been patented by the patentee under the act. 2. When the subject matter is a process, the patentee has the sole right to prevent the third party from using, selling, distributing, or importing any products or services produced by the process in India. 1. The imitation of the invention by discoloration. 3. Capturing the essential features of the subject matter. The mechanical variation here would mean altering some features of the invention and creating a new concept out of it. The patentee can file a complaint for the infringement of the patent up to three years from the date of such infringement and the jurisdiction will be the geographical area where such infringement has taken place. The patentee must produce a proof that shows that an infringement has occurred. It should be noted that a suit for the infringement of a patent can only be instituted when the patent is sealed legally. When the license and the patenting of the subject matter are in the process, the patentee cannot file a suit for any infringement. 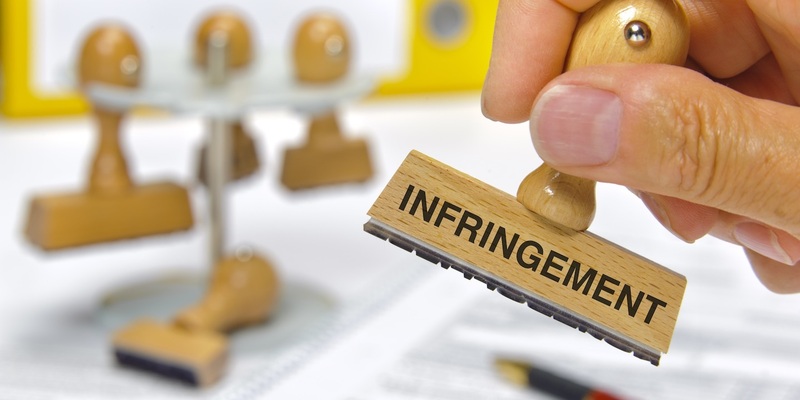 The patentee, however, can file a suit for the damages caused due to infringement during the period of the date of publication and the date of grant. The patent owner can directly move to the collector of customs and prohibit the entry of such good in the Indian market. The patent owner should provide all the details of the consignment such as the name of the exporter, consignee, name of the ship, port of entry and so on. Temporary injunctions are granted when there are prima facie pieces of evidence in the favour of the plaintiff while the permanent injunction is granted only after the complete trial. 4. The accounts of profit or damages are granted when it is proved that the defendant was aware of the patent on the date of infringement. The court has the right to order the delivery up of the infringed goods. The rule 7 of the Civil Procedure Code talks about the same. According to the provisions of this rule, a police commissioner will reach the warehouse or the commercial/residential property of the defendant and seize all the infringed goods. This process is conducted without giving any prior notice to the defendant. ➧ Injunction against the threats. ➧ Ask for the damages if any. ➧ A declaration stating that the claims are non-justifiable. Nowadays in India, people are becoming more and more aware of patenting their products and services. This is a good way to secure their inventions and stay away from the cheats.